With his trademark devotion to authenticity, master pizzaiolo Tony Gemignani recreates a classic Chicago-style dining experience at Capo's in San Francisco. 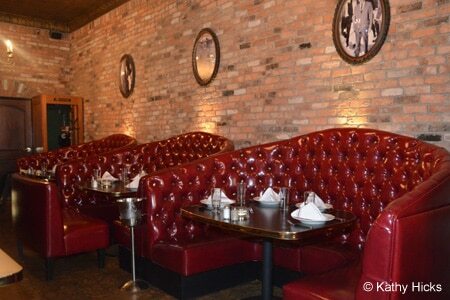 Brick walls, tin ceilings and giant red leather booths set the stage. The focus is on Chicago-style pizza in four varieties: cracker thin, cast-iron pan, deep dish and stuffed.